About 2 years ago, I made this swimsuit out of one of my old swimsuits. I didn’t use a pattern, I just fitted it to the doll as I sewed. The straps turned out a little uneven, but I think it’s okay. I am very excited to announce that I found a good deal on Ebay for the Kidz n Cats Sophie doll and made a purchase! She is currently en route. Since she arrives in winter clothes and it’s clearly summer outside, I have already begun making her new clothes. I read online that her “season” is spring, so I’m starting with light colors and pastels. Since there are virtually no Kidz n Cats sewing patterns online, the most I can find anywhere is here, I am adapting the patterns I can find into different clothes. Also, since I don’t have the doll yet, I’m hoping that the stuff I’m making will fit. So far I’ve got two skirts (one green/yellow with hearts, the other floral pink) and a yellow floral dress with much more to come. 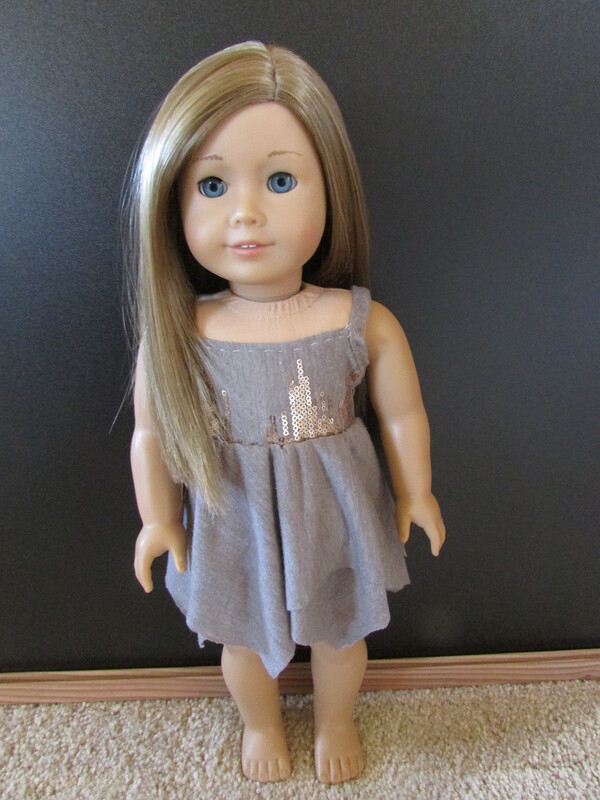 Pixiefare.com has hundreds of patterns for all assortments of dolls, and every Friday, they give a free pattern! This Friday the free pattern is the Picture Day Flounce Skirt. Click here to go to Pixiefare.com and see the free pattern! This is mix of two patterns, the Liberty Jane Strappy Tank Top and this Hankerchief skirt tutorial. I left the skirt the size and length the tutorial said to, so when I attached to the top, it was shorter as I desired. 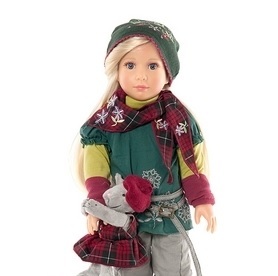 The skirt falls just above the doll’s knee. I made the tank top, removing about 1 inch or so from the bottom of it. I cut the squares for the skirt and gathered it. Then I attached the skirt to the top, closed the back of the skirt, and attached Velcro. I have searched the internet over for a suitable five point star alpha pattern for my 4th of July bracelet I plan on making. 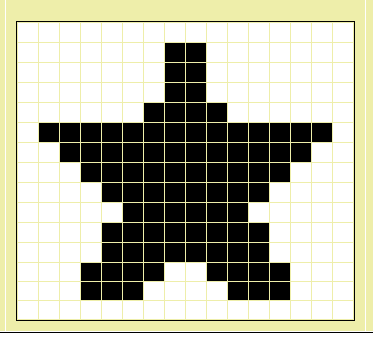 I found only one pattern, but it wasn’t really what I wanted my stars to look like. Therefore, I created my own star pattern in Paint. For a tutorial on how to create a pattern of any picture in Paint, go here. I didn’t want the bracelet to be super wide, so I made the star smaller and added more blocks until it was 12 by 17. I would add at least one knot of background color on the sides, to make it 14 knots wide. That’s about 3/4 inch, depending on what floss is used. I use regular embroidery floss. Anyway, so when I was finished making the pattern in Paint, I transferred it here. Technically, I didn’t really have to do that, but I wanted the pattern to be clear and bigger. When made into a bracelet, the knots overlap and aren’t perfectly regular squares. I’m going to try the pattern out alternating red and white stars over a blue background. If it works out, I’ll post it!